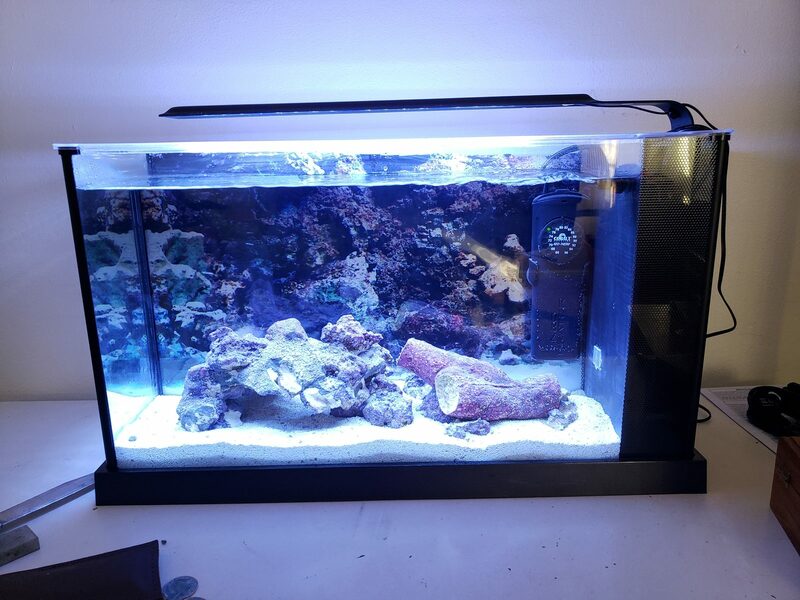 As the title reads I recently was gifted a Fluval Evo 5 gallon. 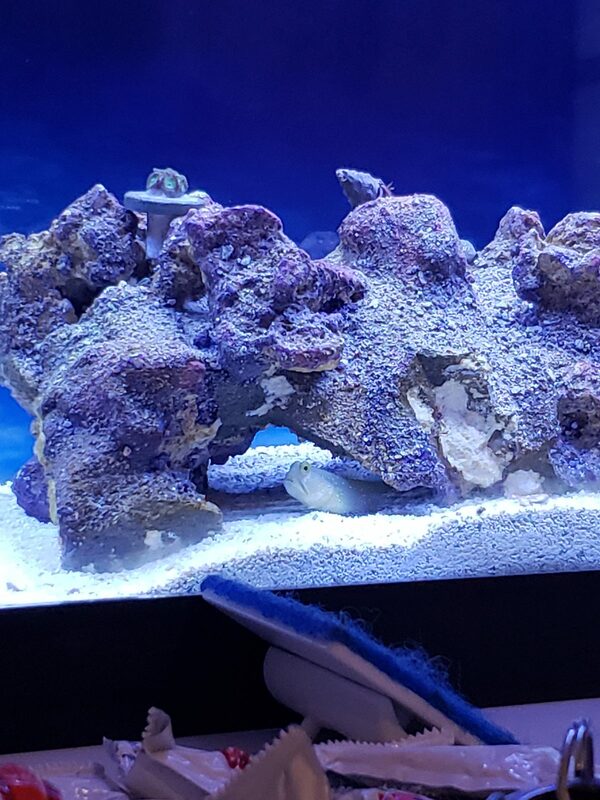 I started the tank 12/26/18 with live rock and live sand. 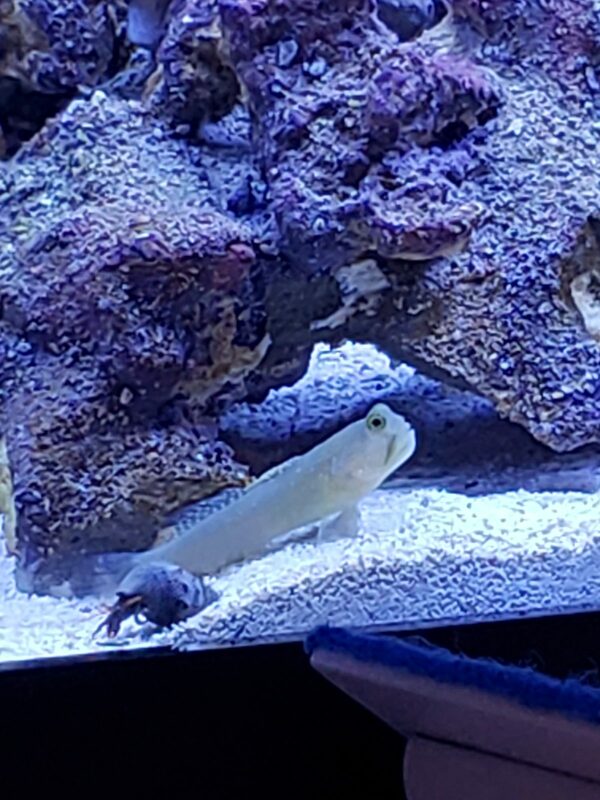 A couple days later after the sand had settled I went back down to my LFS and bought my Yellow Watchmen goby. The tank is currently cycling and I won't add any other live critters for a little. 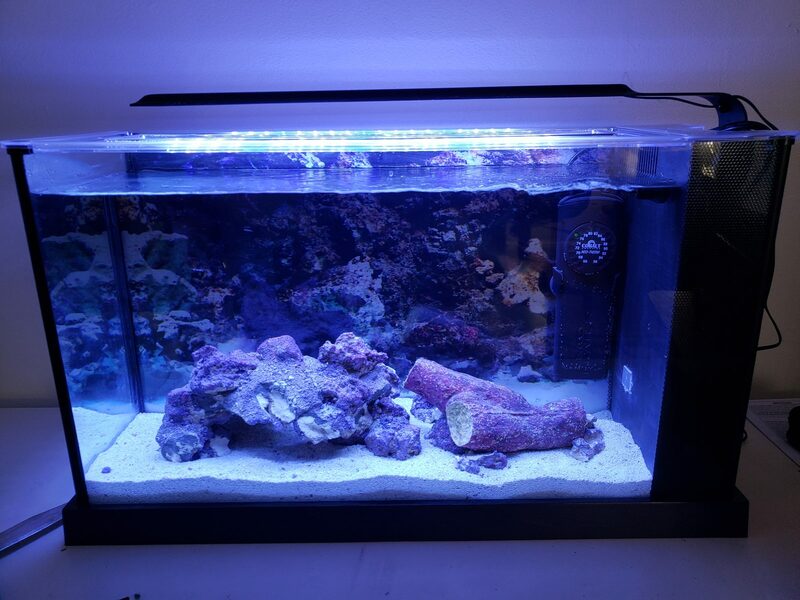 This is my second nano tank, my previous was a Biocube 29 that I ran for a year with coral and fish. I'm excited to be back in the hobby. I plan on buying a Xp Aqua ATO and a Koralia nano power head. I'm also entertaining the idea of modifiying the rear compartment to hold rubble rock and cheato. I also ordered some Brightwell aquatics complete bio culture , and chemipure nano. 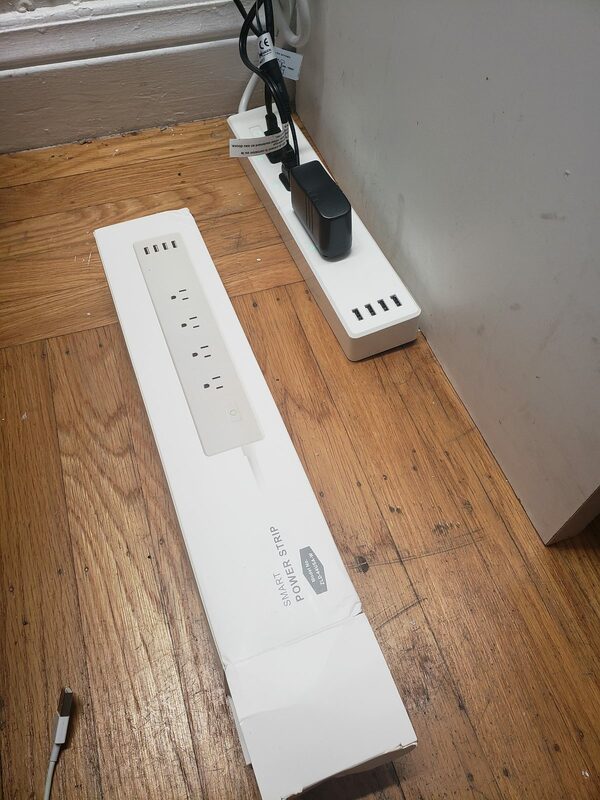 I check salinity daily and, keep 2 gallons of rodi water under the desk. Are you testing the tank to see if its cycling? Was the rock wet when you purchased it because liverock doesn't always go through a cycle. If its dry Rock then there are requirements to get it to cycle. Btw no fish should have been added during cycling. Its cruel and can cause unnecessary health issues or death. the rock was wet when I bought it. I picked the pieces out of a big holding tank. 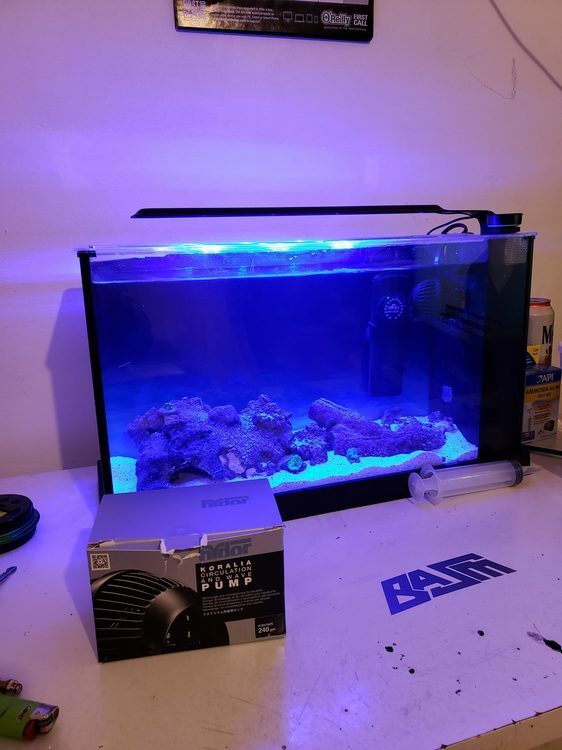 I haven't purchased a test kit yet so I'm going to go to the LFS and have it tested. Previously on my other tank I used a single fish to cycle a tank. only because the LFS told me that the fish would be "alright". now I feel bad and will possibly do. small water change today. If its cured liverock, there will be no cycle. 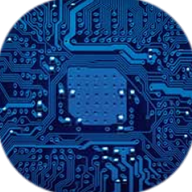 You need to buy test kits fir frequently testing ammonia because you will need to know how to proceed which will depend on tests. Many Lfs will give bad advice, it's what sells. Best advice to anyone new, so lots of research. 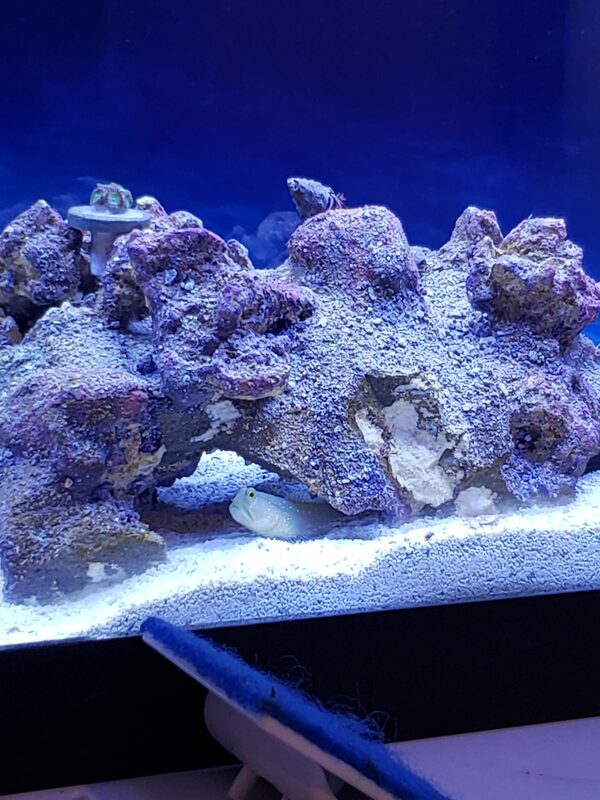 Yep like Clown has stated keep an eye out on the ammonia while the goby is in there. Looking good so far and I like the idea for the mini fuge in the back. 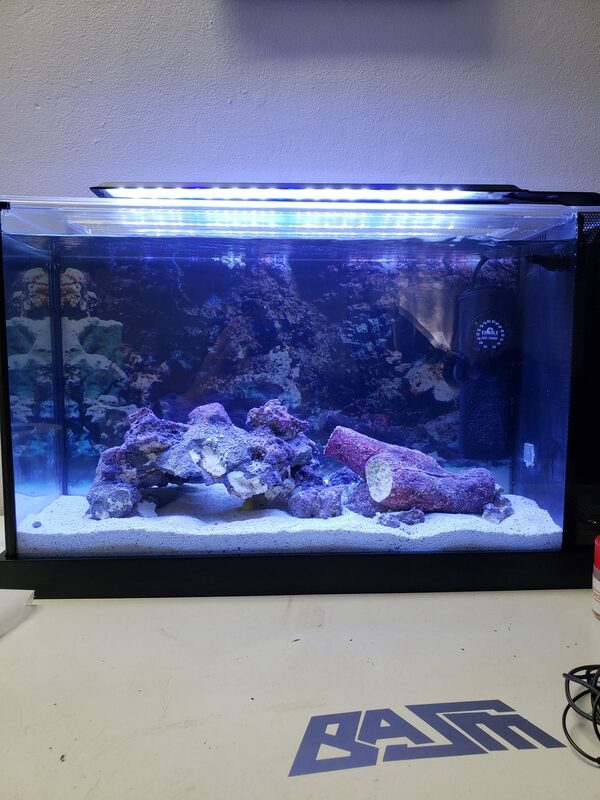 I've had good success with it in my lagoon and was thinking to find a nice strip led to use in the evo. Keep us posted on how you do the fuge, I'm interested. Your rock looks life real reef rock or caribsea life rocks which is man made then cured for bio film. I have the same in my tanks. Benefits to these rocks is they won’t have any pests or hitchhikers and look aged with coraline algae. They also have really nice shapes with caves. They are not live rocks but pretty good. 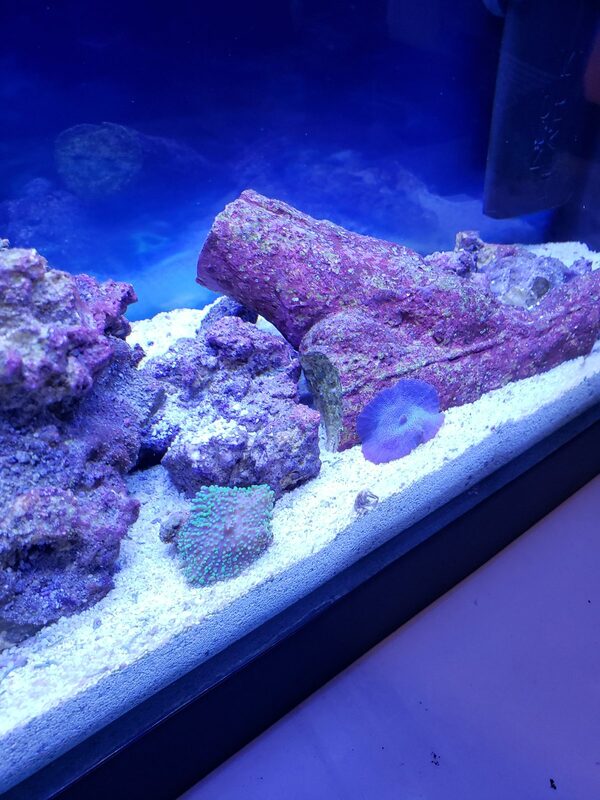 Live rocks will have all the benefits of the ocean in your aquarium quick! The benefits comes with drawbacks though. Like unwanted pests and critters . 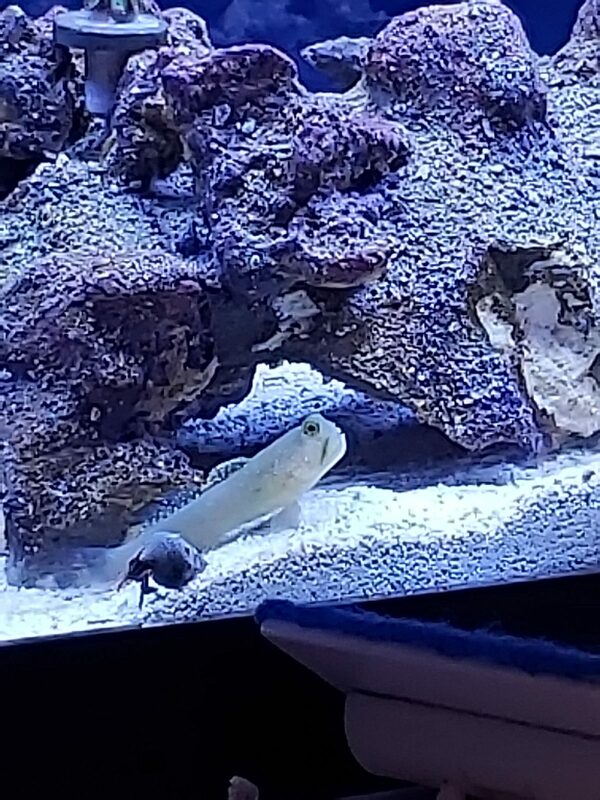 Keep your eye on your goby as your tank is cycling. 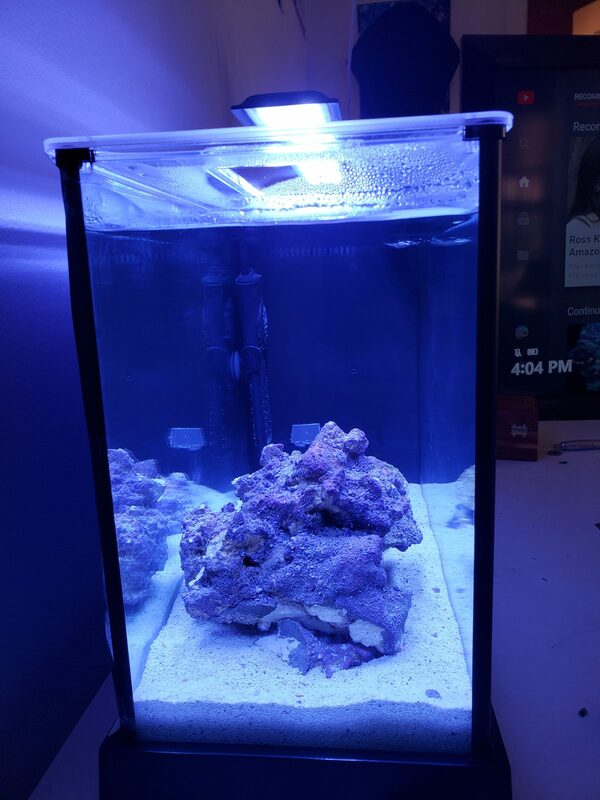 Like others mentioned , you can quickly cycle your tank without a fish. Dr Tim’s one and only bacteria and a small quantity of pure ammonia is all you need. Takes only 10-14 days to cycle ...or less ! 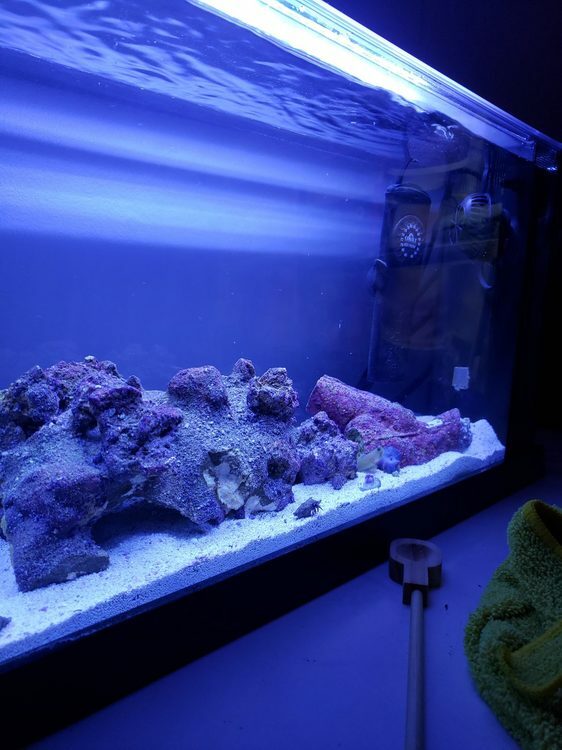 Since the goby is already in there , get some nitrifying bacteria in bottle to help with the cycle. Dr Tim , bright well aquatics , Fritz’s , bio spira , etc . I also think adding different brands of bateria gives you the most divisity. Someone said dr tims and bio spira are the exact same thing. Can anyone confirm? yeah I totally agree. I already ordered some brightwell aquatics bacteria several days ago, I'm just waiting for the package in the mail now. 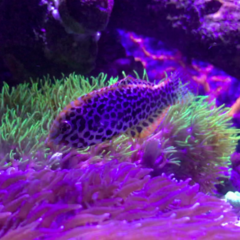 You need to dose Seachem prime to detoxify the ammonia so the goby survives. I'd also add a seachem ammonia badge so you get proper ammonia readings as standard kits won't give accurate ammonia reading with Prime. so an update. 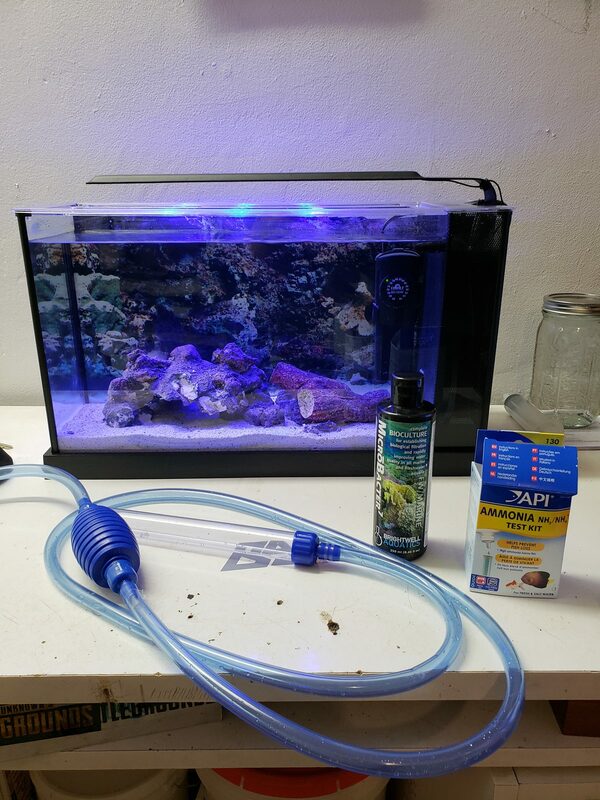 I went and bought a ammonia test kit, and a gravel siphon to clean the aio filtration in the back. I got my brightwell aquatics complete bio culture in the mail and, I did a 10% water change. thanks for the advice guys. You can do larger water changes than that. 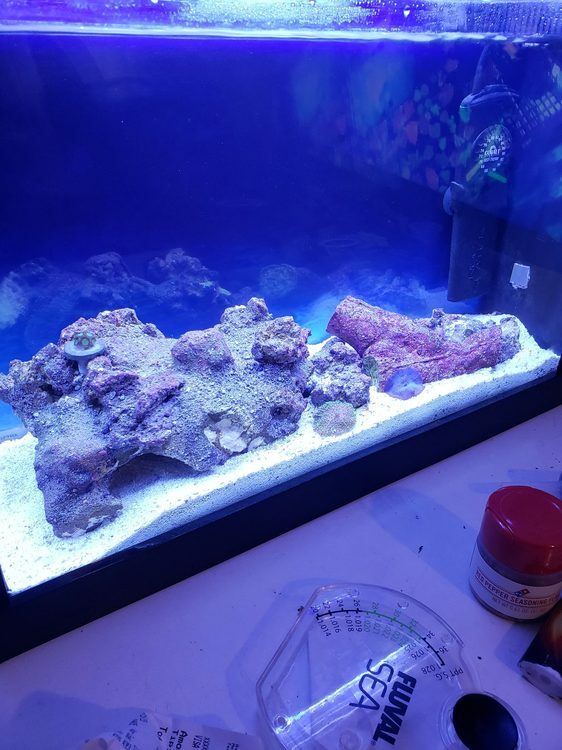 People with picos do up to 100% water changes so with your ammonia levels (which really need tested daily with the fish in there), do a good 30-50% every day or two because ammonia is harsh on aquatic life. Also follow the suggestions on using Prime and bacteria. 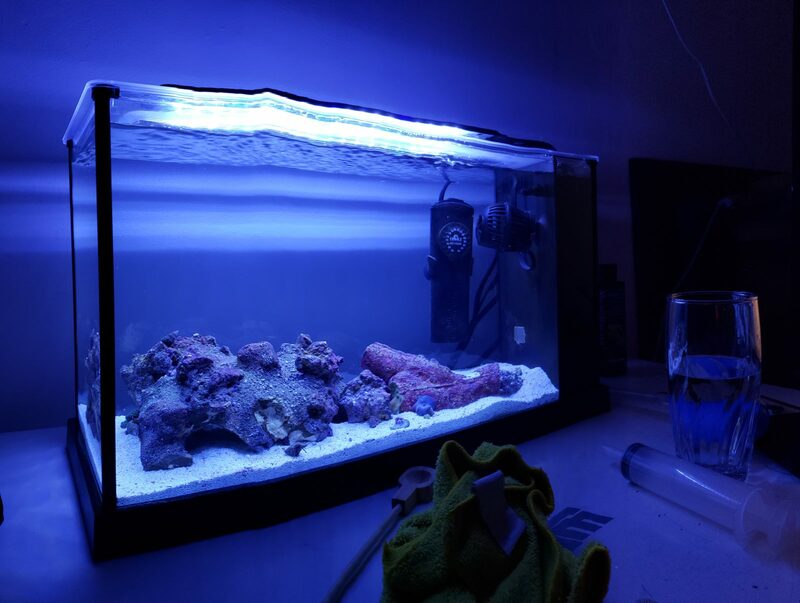 I run my lights to my schedule so that they are on when I can view the tank. Nice! Love the look of those shrooms. 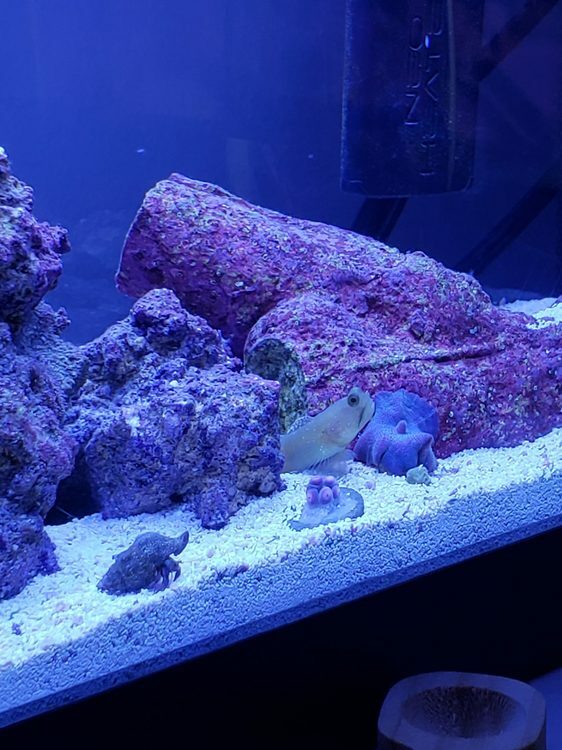 Looks like your goby is doing just fine too. Im very guilty of this, but the best advise that was given to me was take it slow . Real slow . Stability is the key to growing corals. They don’t like changes at all. Changes need to come very incrementally as well. Another aspect of this hobby is water testing . It’s a pretty big part of this hobby actually. I started with API and Red Sea but am now using Hannah Checker. 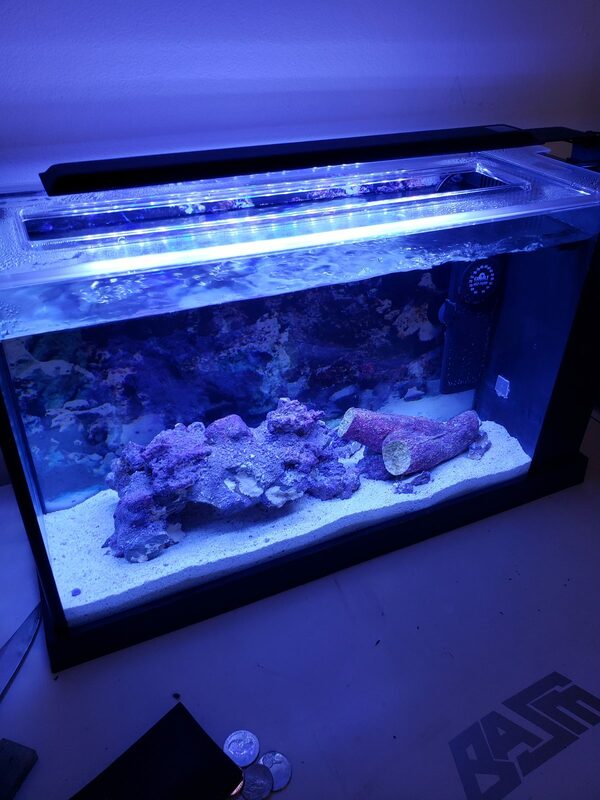 If you are planning to make a commitment and staying with reefing , get test kits that works for you! I really hate those test kits with color wheels. While my eye sight is not the best, it’s very difficult at times to figure out which shade of purple or blue or whatever on a test. Hannah does away all that and gives you a digital reading that totally takes out the guess work. Buy cheap buy twice is the saying. Looking great. In the OP you mentioned salinity at 23. I would try and get it around 25-26. Like Clown said, everyone has a different light schedule. I would try anything from 7-12 hours. Depends on your life schedule and how you want to observe your tank. great thanks dave the the salinity tip i will adjust mine accordingly. i was just thinking that my zoas looks better when i have a high salinity. 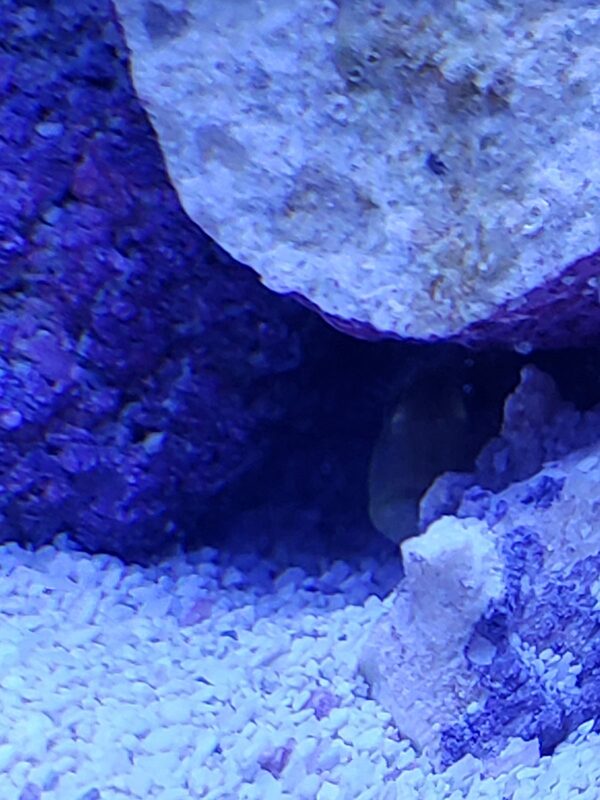 I love how grouchy these gobies always look. They always have the "Stay off my lawn you darn kids!" kind of look to them.